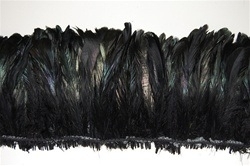 Coque Dyed Black Irridescent Fringe Feather. 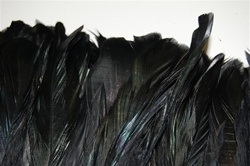 Made from the tail feathers of the rooster. Has been used for trim on collars, sleeves, hems of dresses, Costumes and many other functions. Sold by the YARD.